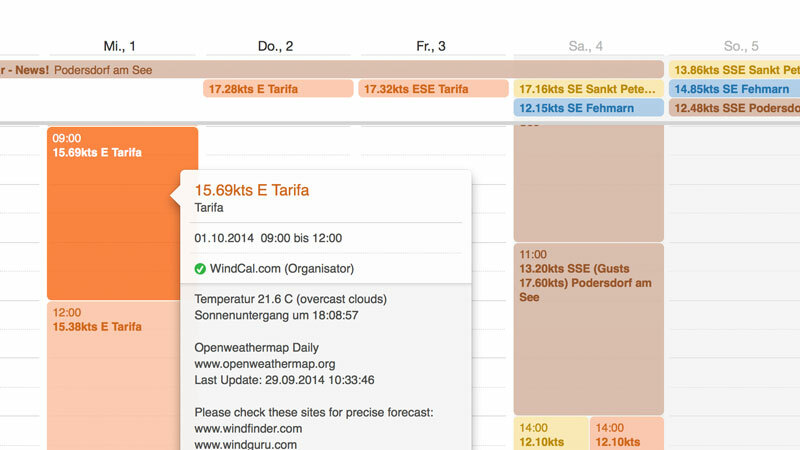 Get your personal windforecast in your calendar to prevent meetings on windy days in advance. Be on the water when others are still dreaming of it. 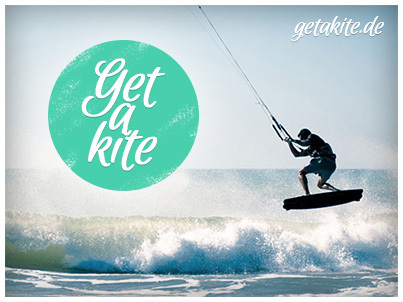 You will love this app if you do windsports, like kitesurfing, windsurfing or sailing! Why should you use WindCalendar? Some important person calls you to arrange an important meeting. You check your calendar and see that you are free tomorrow and accept the meeting. If you need help please view our faqs. If you do, please like our facebook page and share it with your friends. How do I add WindCalendar to my calendar? 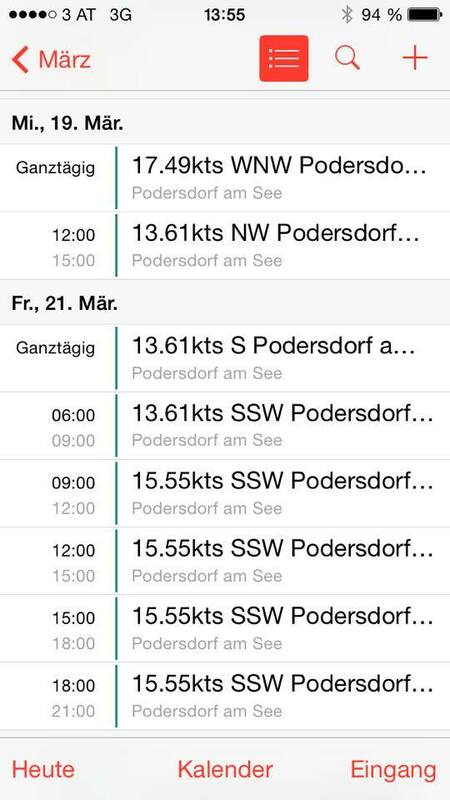 Just fill out the form above, create your personal windcalendar and click on the "add to calendar" - button. If this doesn't work, right click on the "add to calendar" button and copy the link. Then go to your favourite calendar and find the option to subscribe to a public calendar and paste the copied link. How do I add WindCalendar to my calendar on Android/Google Calendar? Please view this video to get more information about how to add WindCalendar to your devices/calendars. I don't want to get confirmation mails any more! What can i do? Remove the WindCalendar subscription from all your devices where you set it up! How can I uninstall/remove WindCalendar? Open your calendar and unsubscribe WindCalendar by removing the calendar (p.e. 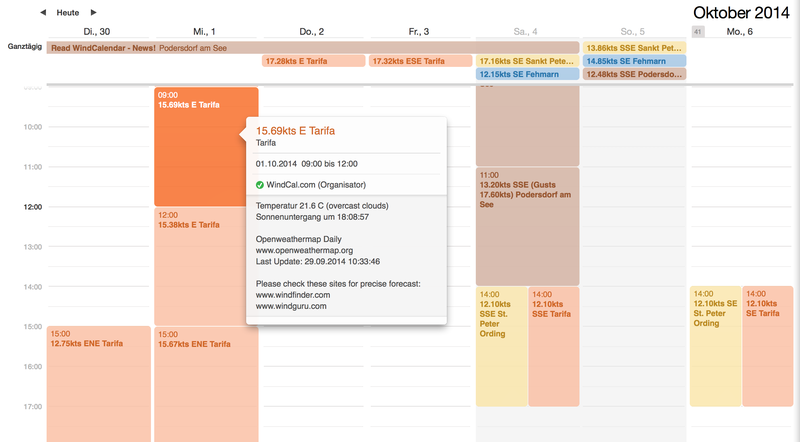 Outlook) from your calendar list. Go to your Settings-App, then to "Mails, Contacts and Calendars" and then to "Subscribed Calendars". Choose WindCalendar and delete it.